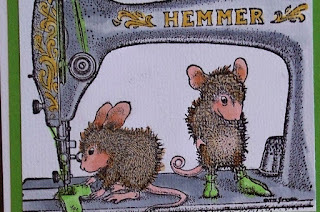 Eeeek, it's Mid-Week at the House Mouse and Friends Monday Challenge #138, which has a sewing theme. Use an image with a sewing theme, or stitches, real or faux. Border punch is Martha Stewart. new online store, and Di's Digi Downloads, $10 Gift voucher for their online store. Happy Hopper image and all you have to do is add some stitches!!! 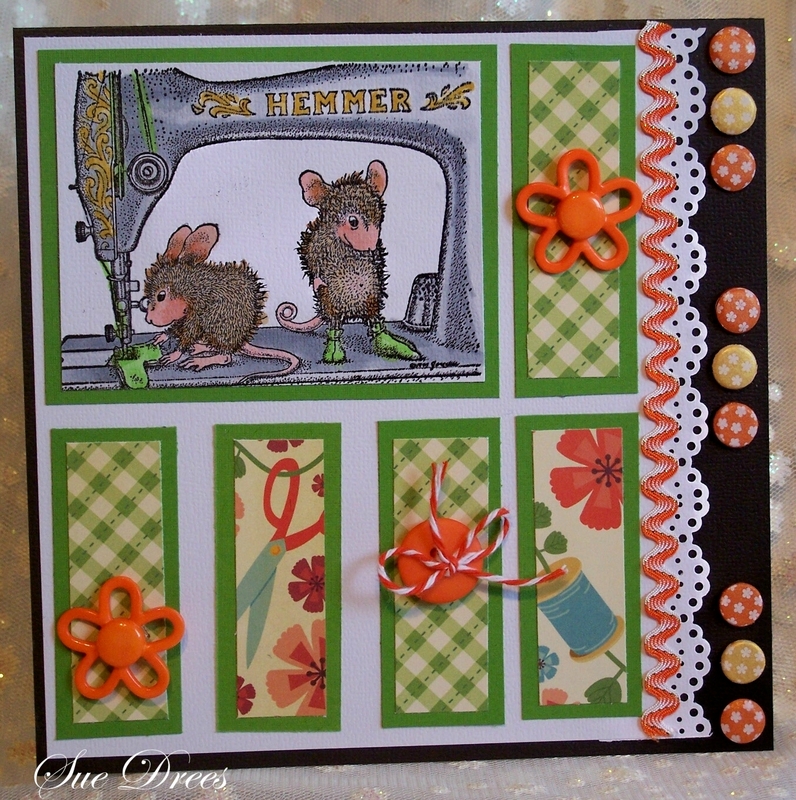 Hi Sue awww these cute sewing mice are so adorable.. gorgeous vibrant colour combo great take on the chall theme. A gorgeous card Sue, brilliant colouring and such fabulous details and papers!! I love that cute image Sue and the papers and details are gorgeous. I have made with this image also a card for the challenge. It is coming on my blog tomorrow. 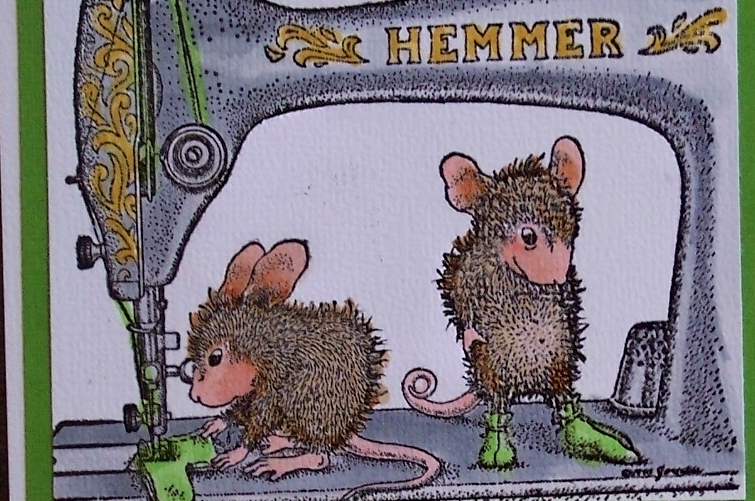 The mice are too cute and love the old fashioned sewing machine they are using:O) Ultra fab design, great colours and wonderful colouring! 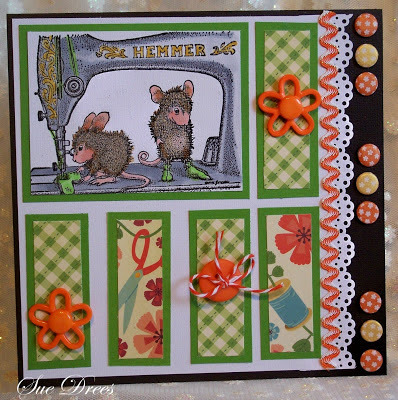 Darling use of sewing DP to highlight your meece image Sue! Quite striking! 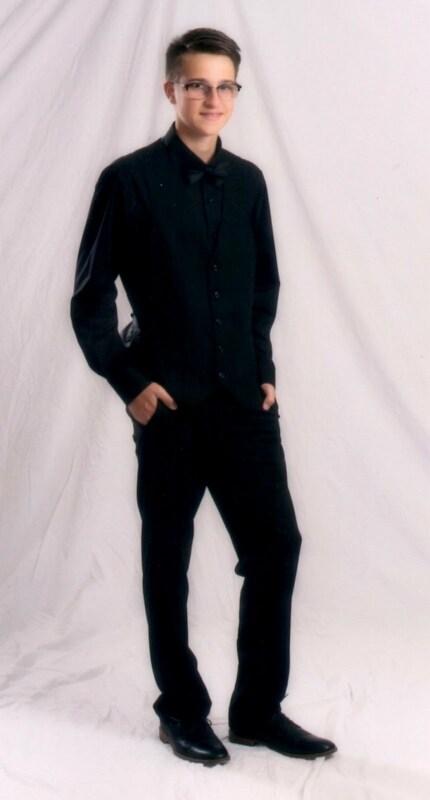 Cute cute! I like the idea of the panels and your ric rak ribbon is perfect. Very cute. I love this Sue, it's totally gorgeous. Fabulous design too. So bright and cute! I love the embellishments. One of these days I am going to add some house mouse to my collection. You always make them look darling.